Run from the living dead in your own neighborhood. 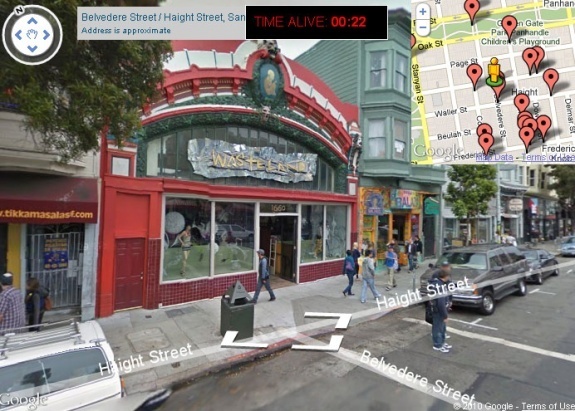 Mike Lacher‘s Google streetview mashup tests your evacuation route in realtime. Try it.